-Max Cashback of Rs. 500 per User.-Only valid on Debit/Credit Card transactions. 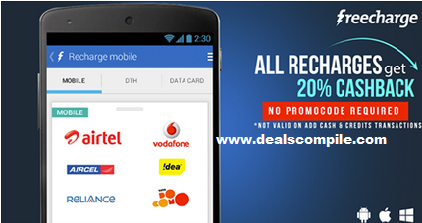 -Valid only on FreeCharge Apps – Android, iOS, Windows. -Offer valid till 21st September 2014.